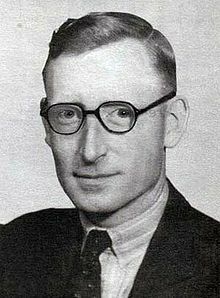 Tommy Flowers MBE (Thomas Harold Flowers, 22 December 1905 – 28 October 1998) was a British engineer. During World War II, Flowers designed Colossus, the world's first programmable electronic computer, to help solve encrypted German messages. The first Mark 1, with 1500 vacuum tube valves, ran at Dollis Hill in November 1943, and then at Bletchley Park in January 1944. A Mark 2 redesign with 2,400 valves had begun before the first computer was finished. The first Mark 2 Colossus went into service at Bletchley Park on 1 June 1944, and immediately produced vital information for the imminent D-Day landing. Flowers had a crucial meeting with Dwight D. Eisenhower and his staff on 5 June. A courier handed Eisenhower a note summarizing a Colossus decrypt. This confirmed that Hitler wanted no additional troops moved to Normandy, as he was still convinced that the preparations for the Normandy invasion were a diversionary feint. Eisenhower announced to his staff, "We go tomorrow". Earlier, a report from Field Marshall Rommel on the western defences was decoded by Colossus and showed that one of the drop sites for a US parachute division was the base of a German tank division. The site was changed. Years later, Flowers described the design and construction of these computers. ↑ Howard, Campaigne (1983). "The design of Colossus: Thomas H. Flowers". Annals of the History of Computing 5 (3): 239. http://www.ivorcatt.com/47c.htm. Retrieved 2007-10-12.